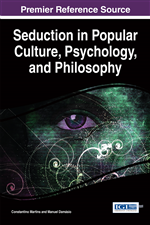 The chapter explores the meaning of seduction from a situated approach to emotions by tracing the way surprise uncovers emotional traits that enable commitment. The adoption of a Situated Approach reveals how emotions are intrinsically tied to the situations from which they arise and the crucial role of surprise. The emotion of surprise is central for the value of experience because it amplifies other emotions as well as other traits, and details of the lived situations fixing the meaning of the lived experience. The examination of how various emotions belong to the family of surprise further explains the established differences between persuasion, manipulation and seduction. Ultimately the chapter shows that seduction asks for the recognition of various layers of emotional reality, and how they are made visible by the way in which seduction establishes commitments. The chapter reveals how emotions that are part of the family of surprise (for example awe, wonder, startle, shock, etc.) are a crucial part of seduction and indicates how seduction enables different types of commitment depending on the reach of its emotional depth. The first part of the chapter introduces the Situated Approach to Emotions through De Sousa’s notion of paradigm scenarios (De Sousa, 1987), which is a wonderful tool to understand how emotions can be best understood by the notion of situation. Among other things, the fruitfulness and richness of the Situated Perspective points out how emotions are Janus faced because they give us information both about ourselves and about the world (De Sousa, 2007). Since emotions emerge from social interactions and relationships and are “dynamic processes that unfold over time and are situated in interactions, relationships, and ultimately in cultures” (Mesquita & Boiger, 2014, p. 300), they provide information not only about the source of the mechanism of the dynamic processes but also about its activity. That is, emotions provide a double mirror of the seducer and of the activity of seduction indicating how it is an ongoing emotional event that both reveals and sets processes in motion such that the seducer comes to light as well as how the process of seduction that makes the seduced tick. This section of the chapter ends by the recognition that the situated theoretical approach clearly shows how surprise is a fundamental emotion. The second part begins by taking Robinson’s comments about startle (Robinson, 1995) in order to make explicit different intensities and depth of surprise further justifying the differences between persuasion, manipulation and seduction (Cordoban, 2006). Thus, different levels and types of surprise will be linked to different types of emotional commitment and, consequently, will be differently connected to seduction. The chapter ends by suggesting that the connection between seduction and surprise lies at the heart of every emotional situation. People commit themselves when they surrender their heart and seduction is the art of reaching for people’s heart. This means that to understand seduction, and how it differs from manipulation and persuasion, is to identify how it taps into deep emotional cues and how when we are taken by surprise we can act in such ways as to commit to buying a product, reach a conclusion, establish relationships, and make our alliances. While the paper investigates the reasons why seduction play a very important role for the establishment of commitments it promises a way to better understand the process of emotion regulation and education of the emotion for by understanding how seduction works we attain more clarity about its crucial relevance for shared experience and how it both helps us to understand the world and ourselves.